… a rough approach. 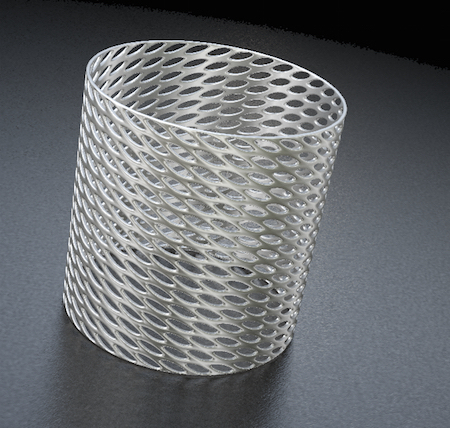 Turns out as a tapered basket form, in spite of starting with a cylinder. Probably something off in the rotation of the initial rib. Or, in the position of the rotation center. Note: Steps 6-8 could be simplified by just removing the vertical edges within the band instead of the way I did it, with bridging. Addendum: Keep the initial rib in position and move the center to the XYZ origin, then replicate around that. That’ll give you a cylindrical lattice. For the one below, I replicated the first rib 17 times (for a total of 18 ribs) at 20 deg Y. Then I grouped that set, mirrored it (so the ribs are going the opposite direction), flipped it and repositioned it. This — made from the same starting point as the other lattices. 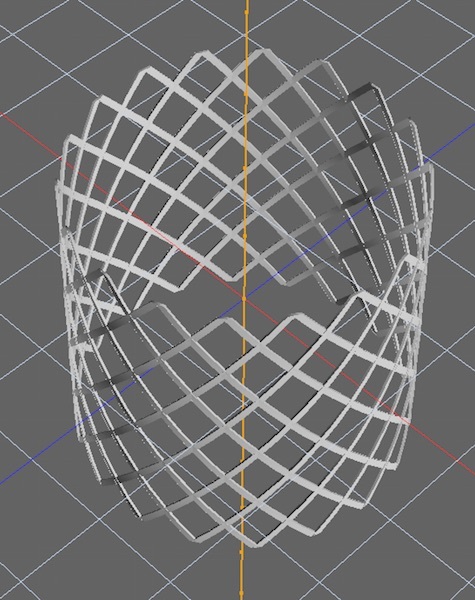 Wanted to make something similar with joined vertices – a single mesh object. Starting with Step 5 (above) removed all of the vertical edges, leaving only diagonal. Then selected all edges and did Extrude-Inset. Selected and deleted all central polys using Wand (leaving diamond-shaped holes). 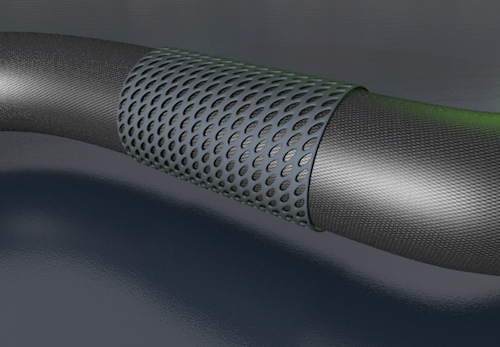 Added thickness and subdivision to smooth.